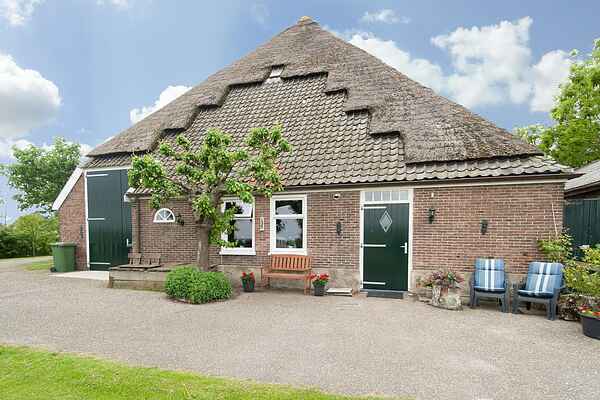 Your holiday home is situated in Burgerbrug. This area has many polders and is very suitable for beautiful cycling and walking tours. Nature and birds lovers will truly enjoy themselves. The apartment is located on the yard of the owner and is part of a former farmhouse. The entrance is located in the spacious hallway. The living room, the modern bathroom and the first bedroom, including a cot and changing mat, are accessible through this hallway. A fun detail: in the inviting living and dining room, you'll also find an old Dutch box bed. Want to go on a day trip to a city? The cheese capital of Alkmaar or Schagen is extremely suitable for that. In 20 minutes by bike, along a beautiful polder route, you'll reach the new beach and dunes of Petten.